Video Game Tuesday: What’s Going On With F/GO? This week for Video Game Tuesday I’ve got an open question to the people at both Aniplex of America and Delightworks. I’m asking What’s Going On With F/GO? Huh? : So for my readers here’s a brief explanation. 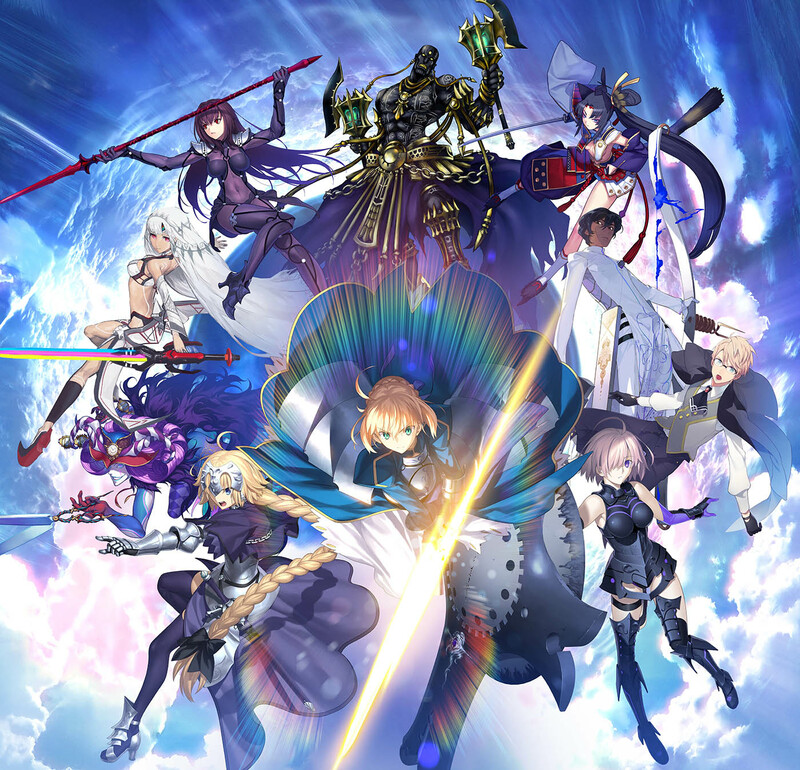 In the past few months, the Fate/Grand Order community in North America has been growing more and more upset with the handling of the game by Aniplex of America. In particular Albert Kao, the Localization director for the NA Client has been getting a ton of flak, not least of which occurred very recently when he handled the Anime Expo panel incredibly poorly and unprofessionally. If you want some proof just go to the Grand Order subreddit and look at all the posts complaining about Albert and his absolutely unacceptable behavior at that panel. In addition many fans are upset at being treated like crap compared to other servers, like China, not to mention the blatant favoritism shown towards the JP players. The latest insult in a series going back to Thanksgiving is the fact that the playerbase was screwed out of 20 Saint Quartz, the in game currency that you can pay real money for, for the recent Anniversary. The issue with this is that the anniversary was pushed back from the actual anniversary date of June 28th to be announced at the Anime Expo panel. Another inflammatory move that makes no sense to many players of the game, including myself. There are possible reasons, but those reasons all come down to a series of events that could have been easily avoided if they didn’t do a certain thing. And that was announcing things at Anime conventions. But that’s a topic for next week. So here’s my question to Aniplex of America, what the hell are you doing? Many people understand how poorly Japanese companies can treat foreign markets, the whole Gaijin bigotry plays a huge role in this. But this has gone on many times and frankly it’s insulting to not only the playerbase, who you ought to be keeping very happy, but also the people who you invited to your panels who were subject to a man who looked like he had just shown up after panhandling for a day in the seedier neighborhoods of Los Angeles heading the panel. Do I expect an answer to my question? Nope, because at the end of the day I’m just a small time gaming journalist who can be very acerbic at times. Tagged Action, Adventure, Android, Aniplex of America, Delightworks, Drama, Fate, Fate Series, Fate/Grand Order, Gacha, Gacha Game, iOS, Japanese vs Worldwide Servers, Mobage, Mobile Game, Reviews, Video Game Reviews, Video Game Tuesday, Video Games, What's Going On With F/GO? I attended their Fate GO panel at Anime Central. Never a good sign with the opening statement being, “We really can’t tell you anything in terms of news.” The panel after that was really a joke for an industry panel- just a bunch of pointless prattle and insults. So I can understand the frustration of people. I still play the game but will never spend money on it and probably never will. This whole thing is a shame considering how fun the game is. I don’t go to Cons, mostly because I lack the money and more importantly the time, so I can’t say I’ve ever attended one in person. However I’ve watched enough panels to know when it’s a worthwhile venture, and from what I’ve seen of the few F/GO ones they all were terrible.